This arched door is one of a set of two. It was crafted using an antique Mexican door and reclaimed woods. 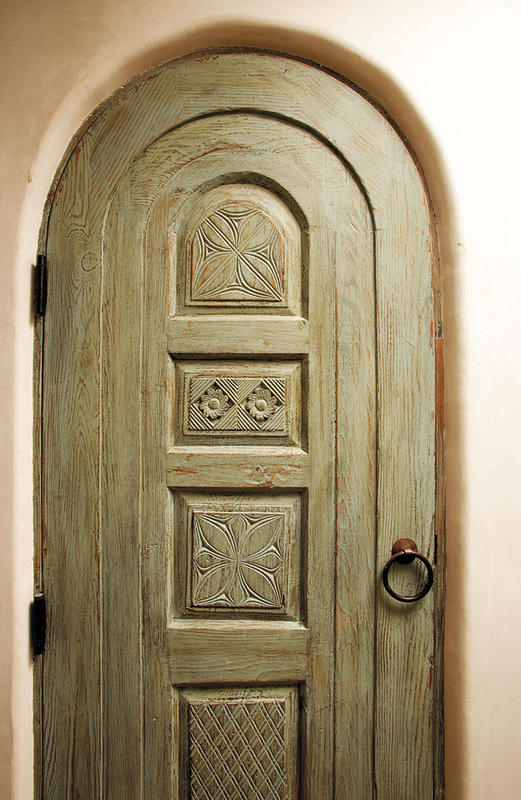 The door is inset with antique carved panels and features an iron pull ring with round escutcheon.